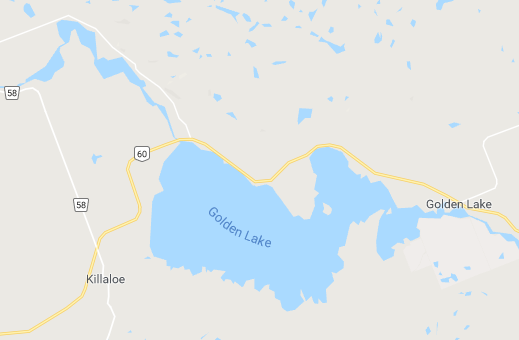 The Golden Lake Property Owners Association has been in existence since 2004, and serves the interests of owners of shoreline on Golden Lake and the Bonnechere River below Tramore Dam, as well as others who have an interest in the well-being of our Lake and River. The Association works for the common good of all members, and the maintenance and enhancement of the quality of life on the Lake and River. The Association attends to such matters as water quality and levels, shoreline development, and boating and swimming safety. It speaks with a common voice to all levels of government and works with other organizations on issues that may contribute to the health, pleasure, comfort and security of its members. If you are one of the roughly 500 property owners along the Lake and River, we urge you to join us as a member so you can learn more about our activities and add your voice to our ongoing conversation. We have created organizational zones around the lake and river to help members contact the Association. 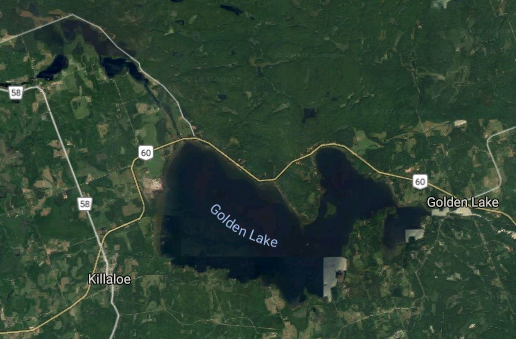 The Association’s Directors and Zone Representatives share a commitment to helping members get involved in the Golden Lake Property Owners Association. NOTE: Any opinions and/or views expressed on this website are not necessarily those of the GLPOA or its volunteer Board of Directors. Location: Renfrew County: Within or bordering on the townships of Bonnechere Valley, North Algona Wilberforce, and Killaloe, Hagarty & Richards. 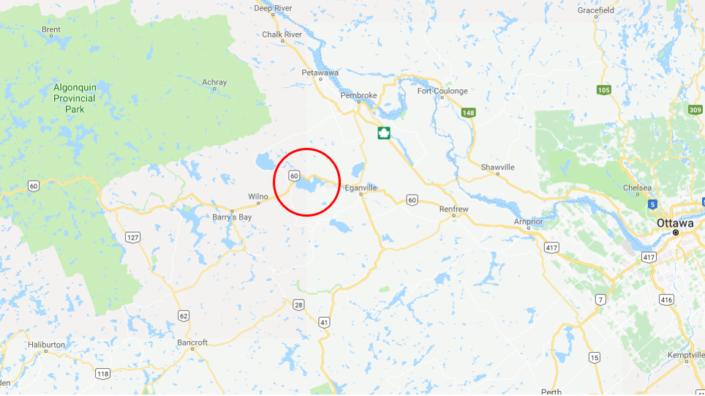 Area: 3552 hectares, 35 square kilometers (8778 acres, 13.5 square miles). Elevation: 169 m (554 ft.) above sea level.